The department is great at responding to fires, but critics say launching an aggressive fire prevention effort across Northern California is a massive job that requires resources the department doesn’t have. Critics of Cal Fire – the state’s lead fire department– say it’s great at emergency response but lacks the expertise to quickly expand and coordinate critical fire prevention programs. Across California, fire prevention is divvied up among a variety of agencies, including local governments. Dr. Bill Stewart, a forest economics and policy expert at UC Berkeley, says Cal Fire is in a unique position to take the lead statewide. The agency oversees 31 million acres – a third of the state’s land – and is responsible for protecting all but two counties in California. But Stewart says Cal Fire isn’t equipped to coordinate aggressive fire prevention strategies. Cal Fire leaders say the department is evolving, and during the past six years, it has focused more time and energy on preventing fires before they start. While Stewart agrees Cal Fire has made progress, he says the department lacks the scientists and staffers needed to keep up with California’s challenging weather conditions. He says Cal Fire got pulled into fire prevention because of years of drought, longer fire seasons and millions of dead trees, which greatly increased the fire risk in California. During the past six years, Cal Fire doubled the defensible space inspections its firefighters performed on homes and nearly doubled the acres of wildland crews thinned out. While Cal Fire exceeded the fuels treatment target Pimlott set in 2016, the department reports it fell short on defensible space and prescribed burning goals. Over 15 years UC Berkeley wildfire scientists have gathered a trove of data on how to create a healthy forest. Cutting trees with chainsaws and leaving them on the forest floor creates a welcoming, rotting environment for bark beetles, which can reproduce and eventually threaten trees. The scientists have measured the rings and diameter of the trees to monitor their health. Today, the picture that emerges is that every forest is different, and will need a specific prescription for health. 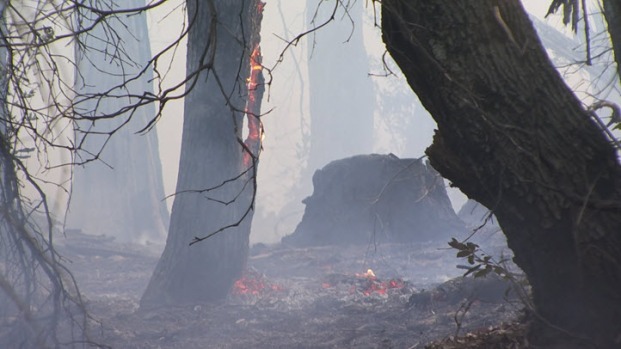 In the case of Blodgett, a combination of chainsaws and burning have made the forest more fire resistant. One key is eliminating “ladder” fuels, which carry fire up into the canopy. If and when fire comes, it will burn more slowly and at a lower temperature. That’s a game changer for fire fighters - but it’s not happening in Northern California. Cal Fire recently signed an agreement with several other agencies to increase the pace and scale of prescribed burns. 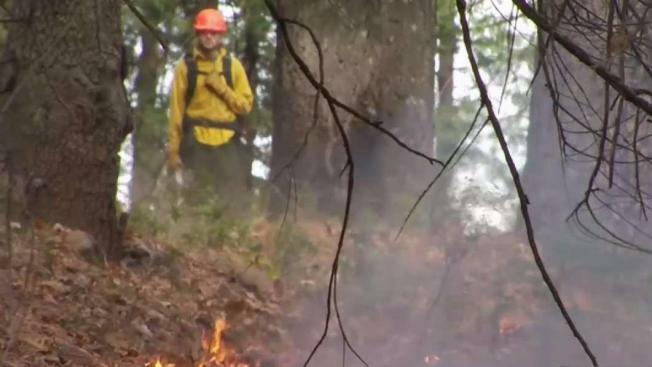 But the NBC Bay Area Investigative Unit found since 2011, the department used prescribed fire – a scientific method of reducing fire risk by burning away branches and small trees that act as fuel – on a tiny fraction of the land it oversees. And wildfire scientists say the state isn’t using prescribed burning on a large enough scale to make a difference. 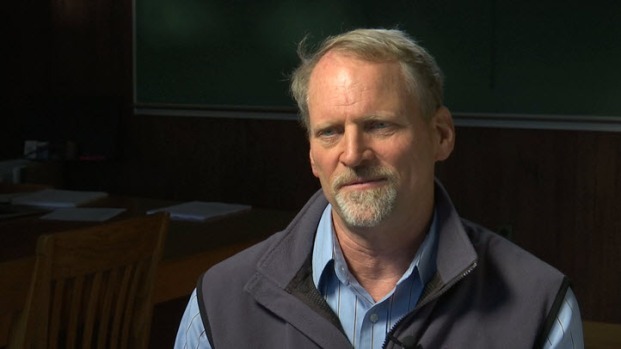 Dr. Scott Stephens is wildfire researcher at University of California at Berkeley. For the past 15 years Stephens has studied ways to make forests more fire resistant. The Investigative Unit recently accompanied his team to the Blodgett Research Forest in the Sierra Nevada, about an hour outside Auburn. Stephens pointed out four plots of land in the research study that crews treat in different ways: prescribed fire, thinning by chainsaw and a combination of the two. The last plot is left untreated. Wildfire scientists working in the Blodgett Forest say each tree species responds differently to fire, and that in expanding prescribed burning to the rest of the state, the needs of each forest will need to be considered. Stephens says California is hampered by its lack of experience when it comes to controlled burning. 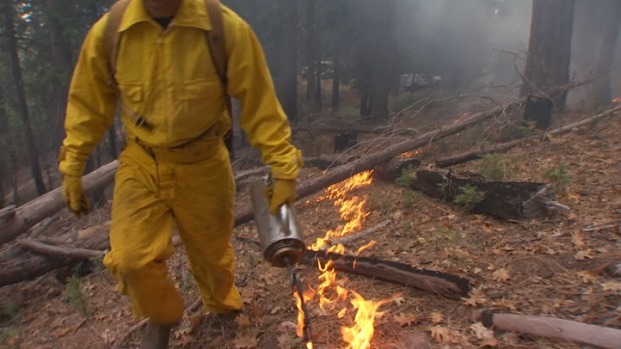 He says states in the southeast use prescribed fire all the time, but California has only tried it in “spurts and ups and downs.” For controlled burning to become a part of California’s culture, Stephens says, the state would need to get serious about training a workforce. Scientists find that a combination of mechanical thinning, with chainsaws and controlled burning makes a forest more fire resistant. Stephens says California’s wildlands are fire adapted and used to burn all the time centuries ago. He says today, millions of acres of land are overgrown, resulting in areas that are susceptible to hot, fast-moving fires. His research partner, Dr. Brandon Collins, says crews on the ground know the state has a “fuels problem” but says it’s difficult to “pull suppression ready people off to do fuels work when there is potential for big wildfires” to break out year-round. See Collins' research here. 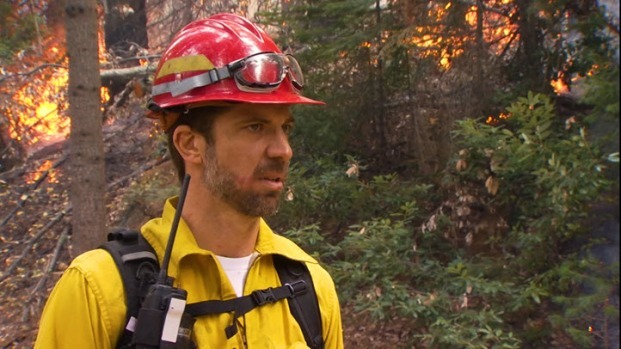 Dr. Brandon Collins is a wildfire scientist. He believes the state focuses to much of its fire prevention resources near urban areas, and that we need to look far beyond that into forests. Cal Fire spends about $75 million a year on fire prevention, which is about 4 percent of the department’s total budget. But according to Daniel Berlant, one of Cal Fire’s assistant deputy directors, many of the services performed by fire protection personnel support the department’s fire prevention projects. For example, he says when firefighters aren’t responding to emergencies, they’re expected to help with prescribed burns, defensible space inspections and public education. For six years, Cal Fire’s fire prevention activities have been funded exclusively by annual fees levied on homeowners in the areas of the state the department oversees. The fund has continued to grow in that time, allowing Cal Fire to grant money to local fire departments and nonprofits to perform fuel treatment in their communities. In the past three years, the department gave out $25 million in grants for more than 250 projects. Click here to see a list of the grant projects in your community. The state suspended Cal Fire’s fire prevention fee program this summer. Now, fire prevention will be funded through California’s cap and trade expenditure plan. Berlant says the budget for fire prevention will remain at about $75 million a year. On top of that, Cal Fire received a one-time budget boost of $200 million from Sacramento. Berlant says he’s working with the governor and Legislature on a plan to use that money, along with the millions of dollars left over from the fee program. He says the funds will be earmarked for fire prevention. But Stewart says shifting Cal Fire’s focus from fighting fires to preventing them will take more than just money. He says the department needs to evolve quickly because leading a state as varied as California on fire prevention will take scientists, lawyers and perseverance against the inevitable lawsuits. “At the state level, it is Cal Fire that has that lead responsibility,” said Stewart, adding that in order to do that, the agency will have to shape a policy and then bring dozens of agencies and the state Legislature to the table. 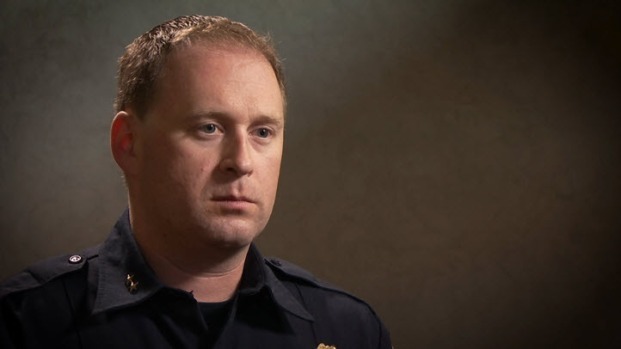 If you have a tip for the Investigative Unit, email theunit@nbcbayarea.com. Follow Liz on Facebook and Twitter.